Cottage cheese has always been a staple in my house. My mother used to spread it on her morning toast and she'd mix it with apples or peaches for me as an after-school snack. I guess that stuck with me because I still sometimes make myself an afternoon snack of apples in cottage cheese. 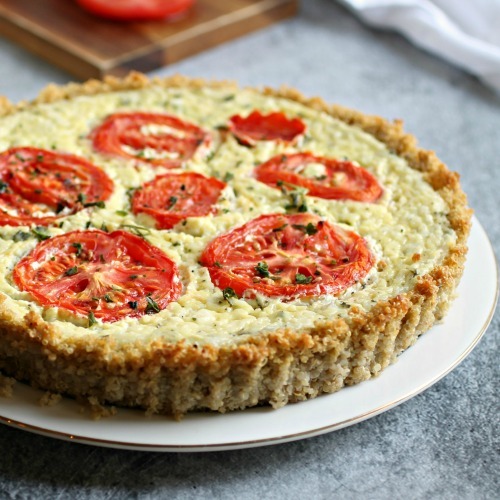 Although mom never cooked much with it, over the years I've learned that it's a great filling for casseroles and tarts, too. As a kid I just liked the creamy, cool taste but as an adult, I'm in love with the nutritional content. My container of Friendship 1% is packed with 15 grams of protein in every serving. They call it the Original Superfood and I have to agree. 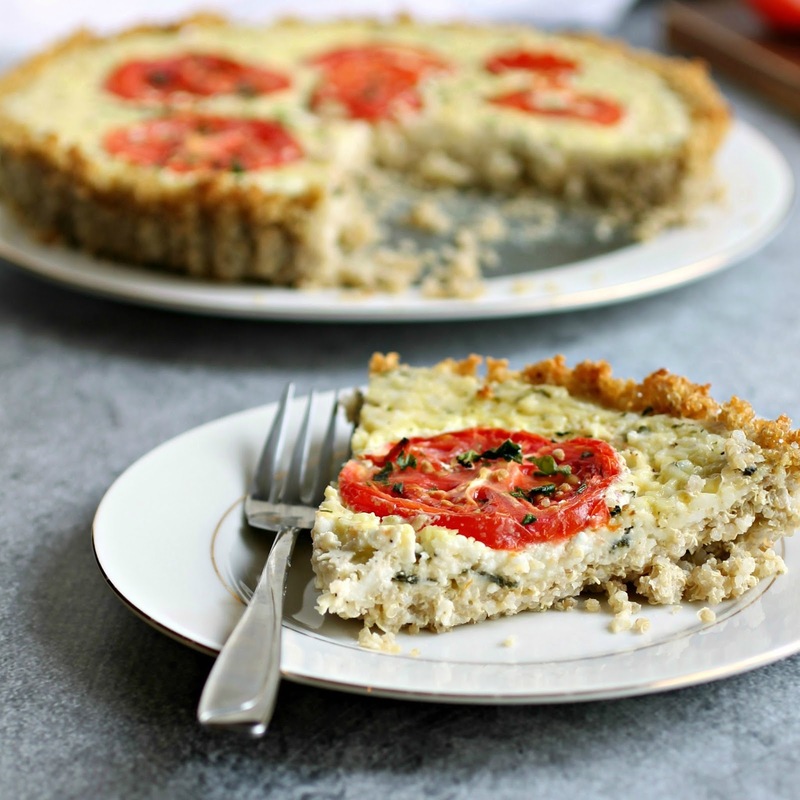 With summer almost here, I wanted to make a light lunch tart but, frankly, the idea of a crust-less quiche just makes me sad. I'm all about a crust but there's no reason that can't be healthy too. I went for a simple filling with some garlic and herbs providing the flavor to the cottage cheese base. Before I added the egg I tasted it for seasoning and it was so good I was half tempted to just eat the whole thing and not even cook it. 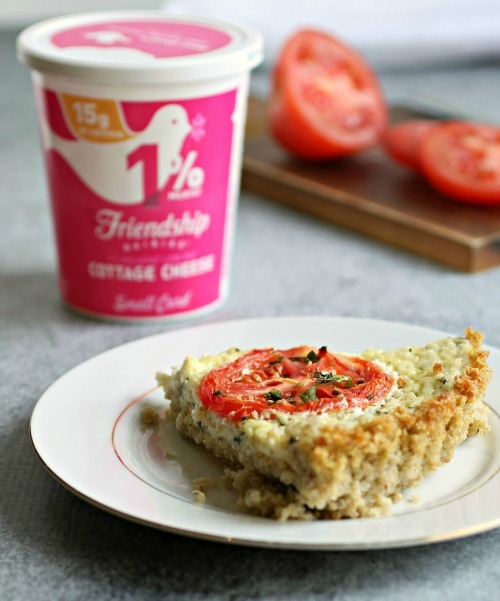 Check out the Friendship Dairies web site and social media pages for more nutritional information and recipe ideas. Enjoy! 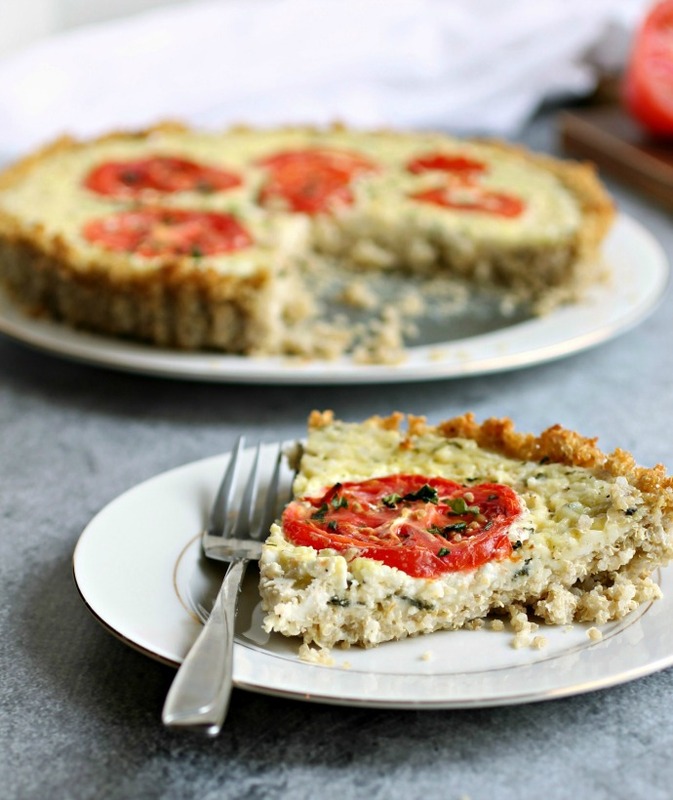 Press the quinoa mixture into a 9" tart pan with a removable bottom and bake for 25 minutes. Remove from the oven and let cool while you make the filling but leave the oven on. Thank you to Friendship Dairies for sponsoring this post. As always, my opinions are my own. Thank you for supporting the products I love and use in my kitchen.